I don't really feel the need to write much more. 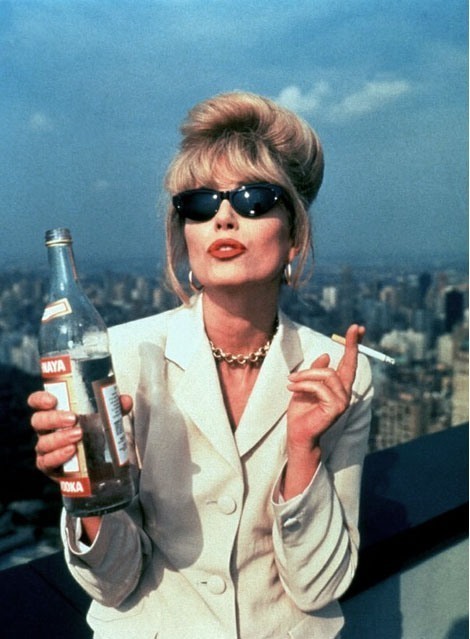 Ab Fab is one of the funniest shows of all time and just happens to be incredibly stylish to boot! Edina and Patsy are so over the top I can't help but love them dearly. I know December is a long way away but if anyone is looking for prezzie ideas por moi I'm desperate to own the DVD set Absolutely Fabulous: Absolutely Everything.